Big Red Car here talking Texas oil, y’all. One of the worst reported business phenomenon is the enormous strength of American oil production and Texas’ part in that. 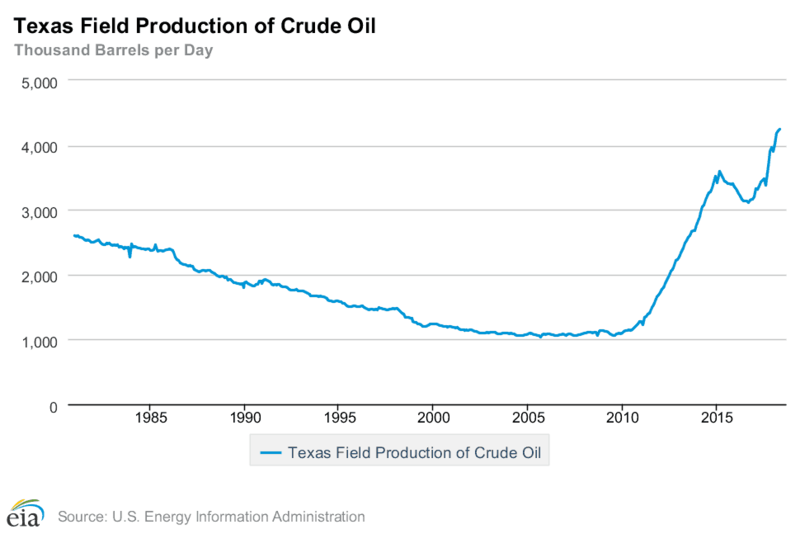 As you can see, it is an impressive curve with a May 2018 monthly flow of 4,243,000 barrels per day. This is larger than any Middle East country other than Saudi Arabia. Hello, America!